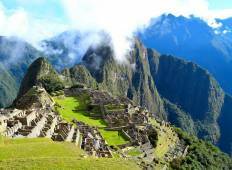 Discover Discovery Tours in Peru in November 2019, visiting places like Cusco and Machu Picchu. Book now and save with TourRadar.com! "What a great tour! We were able to see so much in 7 days. Paul was friendly, knowledgeable,..."
"Would unreservedly recommend this tour. Percy was not only an extremely competant..."
"Our guide for the tour and Lares trek was amazing. 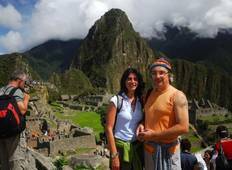 Included meals were never that..."
7 Day Inca Jungle Adventure To Machu Picchu with Mountain Bike, Rafting, Zip Line and Trek. "We did this tour as a group of friends. Our tour guides Percy and Justin were fantastic..."
"Our experience with Inkayni Peru Tours was all we had hoped and more! From the beginning..."